Just when you thought Transporters couldn’t make your life any easier than it already does, we bring you Zapier automation to save you even more time. Setting up your Zapier account and automating the tasks for the first time is about as complicated as it gets, when that step is done you can sit back, relax and let the power of automation run your admin team. Zapier is an exciting tool which allows you to automate tasks between the apps which you use. For example you can create a Zap which automatically adds emails into your to do list, or save email attachments directly to Google Drive or Dropbox so you never spend hours searching for that missing attachment again. There are thousands of Zapier apps all designed to make your life easier, and once you have set up a few Zaps you will see that the procedure is quite straight forward. What can I use Zapier for? 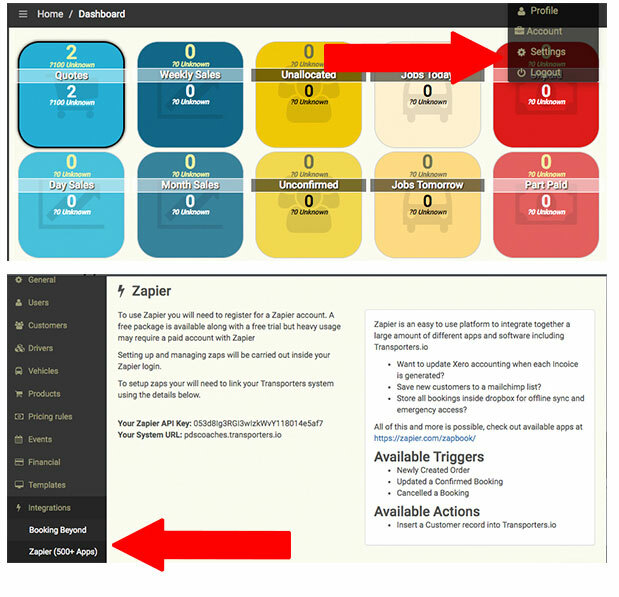 There are a number of automated ‘Zaps’ which you can set up to run on your Transporters platform. The first of these is a Zap that automatically creates a new customer or updates an existing customer when a new order is created or an existing order is updated, enabling you to keep accurate and up to date records of all your customers. Zapier integrates with hundreds of different tools and platforms and makes it possible for them to work together. Using Zapier when you update a record in one place, Zaps can automatically update the info held in other tools or software. You will automatically get a 14 day trial with access to all the apps available on Zapier, within those 14 days you can either choose a monthly payment plan or opt for the free account at the end of your trial. 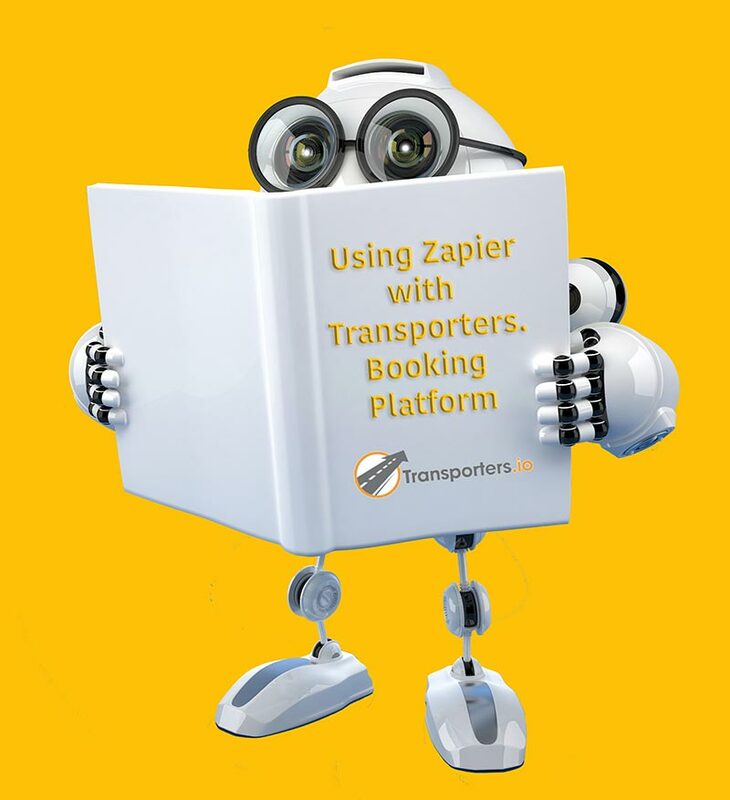 Transporters can be used with the free Zapier account but the amount of Zaps you can create is limited and to get the best results from automating your Transporters tasks with Zapier you may need to sign up for their basic paid plan. Your invitation from Transporters will automatically select the Transporters app so you just need to scroll down the page and connect your Transporters account. Once you see just how easy it is to create Zaps, you’ll probably want to create lots more. We suggest that you start with a simple Zap like automatically adding rows to Google Sheets.